In the book, Lando introduces, motivates, and defends a theory about parthood and composition. It is not a novel theory, but a sensible tweak of the view dominant in twentieth century analytic philosophy, Classical Extensional Mereology (CEM), associated with Nelson Goodman, W.V.O. Quine, and David Lewis, among others. Despite its great influence (and its rejection by many contemporary scholars), this is the first book-length exposition and defence of CEM, filling a significant gap in the literature. The writing is clear and accessible, and thus the book deserves its subtitle; I cannot think of a better in-road into modern analytic mereology for the uninitiated reader than via an extended consideration of CEM. That said, there is also much in the book for the initiated. Participants in the debate will want to respond to Lando’s defence of CEM and thought-provoking critique of purportedly intuitive counterexamples. CEM is the thesis that (1) parthood is transitive (i.e., if A is part of B, and B is part of C, then A is part of C), and (2) given some things, there is a unique thing composed by them. The first conjunct is thus the principle of transitivity applied to parthood; the second is the conjunction of the principles of uniqueness of composition and unrestricted composition. Lando articulates these latter two principles as follows: “given some things, there is at most one thing composed by them” and “no matter how heterogenous and disparate they are, there is at least one thing composed by them” (p. 1; emphasis mine). CEM is usually intended to be a unitary, exhaustive theory of composition and parthood (which has led Kit Fine to dub it ‘mereological monism’). However, Lando restricts its scope to concreta. Fair enough. In my view (admittedly, a nominastically inclined view), for any theory of mereology to be plausible it must do well when it comes to physical objects, first. I’ll return to this point later. CEM is widely attributed to David Lewis, given his comments in his 1991 book, Parts of Classes. Lando’s defence, however, is not a mere recapitulation of Lewis’s views, since Lando and Lewis part ways on several key issues. Indeed, Lando takes these points of departure to be stances where Lewis’s version “stand at the basis of the discredit into which mereological monism has fallen” (p. 7). First, Lando disagrees that mereology is a logical doctrine. Of course, mereological theses can be axiomatised and expressed in some logical framework, but Lando points out that this does not identify mereology with logic. This issue is discussed in chapters 3 and 10. Second, Lando emphasises mereological controversies, against Lewis’s claim that mereology is unproblematic, certain, perfectly understood. Plausibly, Lewis is best interpreted as making a normative claim: i.e., “that mereological monism should not be a topic of philosophical controversy” (p. 9). Lando argues that this normative claim too is wrong. The main purpose of the book, Lando writes, is to provide “an in-depth analysis and balanced assessment of mereological monism”, within a nominalistic framework that is “not everyone’s cup of tea” (p. 9). Third, Lando disagrees about the application of CEM to abstracta. As noted, he explicitly restricts his application of CEM to spatiotemporal, concrete entities. After all, abstract entities (if they exist) are finicky. It is all too easy to use alleged abstracta to violate some mereological principle: one simply stipulates that some abstracta violates it. Lando hopes to show in the book that “abstract entities are both the most difficult and the least important field of application of mereological monism, and there is nothing surprising in the fact that counterexamples to mereological principles can be found among abstract entities. Concrete entities are the decisive field of application for mereological monism” (p. 10). Hear, hear. To be sure, despite his nominalist leaning, Lando does not outright deny the existence of all abstract entities. After all, debate about which (if any) abstracta exist falls outside Lando’s narrow conception of mereology. Rather, Lando concedes a restriction of the application of CEM to concreta. This is probably the right move for Lando to make. So, “the general thesis of the book is that Classical Extensional Mereology is a highly general theory of parthood and composition. Analogously, mereological monism is understood as the thesis that there is only one highly general theory of parthood and composition. Given these stipulations about terms such as ‘general’ and ‘monism’, the difficulties of mereological monism in the realm of abstract entities do not defeat it” (p. 11; emphasis in original). This is discussed in chapters 5, 8, 12 and 13. Fourth, and finally, Lando departs from Lewis with respect to the Composition As Identity thesis. As far as Lando is concerned, Lewis’s contention that composition is (like) identity is not an integral part of a defence of CEM and nor is it constitutive of CEM. Although the Composition As Identity thesis has engendered an increasing literature, of which much is orthogonal to a defence of CEM, Lando aims to show that CEM can be presented and defended without a foray into identity, and without “its typical, obscure, tendentiously circular jargon according to which a whole is ‘nothing over and above its parts’, or ‘a whole and its parts are the same portion of reality’” (p. 12). This issue is discussed in the appendix, where Lando argues that the Composition As Identity thesis conflicts with his narrow conception of mereology. The idea is this: “Insofar as Leibniz’s Law is a constitutive principle of identity, to claim that a whole is identical to its parts is to claim either that they share all or some of their properties or that something similar is the case (e.g., that the features of a whole determine the features of its parts, and vice versa). This consequence has nothing to do with the formal features of parthood, and with the identity and existence conditions for wholes” (p. 12). Thus the Composition As Identity thesis “runs counter to the need to separate the explanatory scope of mereological monism from other areas of metaphysics” (p. 13). So, in summary, Lando supports CEM—the thesis that parthood is transitive and that given some things, there is a unique thing composed by them—i.e., the general mereological framework associated with Lewis, except to say “mereology is not logic, but a problematic metaphysical doctrine; it fails to work for many abstract entities; and we should not say that a whole is identical to its parts. Still, mereological monism is a defensible and promising metaphysical doctrine about concrete entities. This—I contend—is the interesting core of mereological monism” (p. 13). The book is split into three parts: The Methodology of Mereological Monism (Part One), Extensionalism (Part Two), and Unrestricted Composition (Part Three). I briefly outline each in turn. Part One (chapters 1-4) explains what CEM, understood as a highly general thesis about composition and parthood, is all about, with an eye on methodological issues. In chapter 1, Lando notes the ambiguous nature of the English lexeme ‘part’ and its cognates. Lando places several constraints on parthood’s formal characterisation by considering some intuitive presuppositions about what it is to be part of something, in the literal sense; he distinguishes genuine, literal parthood (i.e., what mereologists are concerned with) from merely metaphorical parthood (e.g., when lovers proclaim they are both ‘part of’ one another) and other cousins of the notion of parthood at stake in mereological debate (e.g., selective parthood). 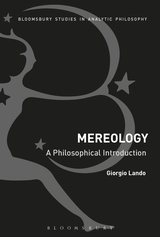 Chapter 2 explains why mereology matters: for example, mereological theses place constraints on, and can be used to refute, various metaphysical positions. Taking seriously certain mereological theses also restricts the range of available solutions to various philosophical puzzles. To give just one example that Lando mentions, David Lewis famously argued that set membership is not parthood, given that set membership violates the principle of transitivity, an essential aspect of CEM. The general idea goes as follows. Let L be the set of all Low records (the album by David Bowie), and let DB be the set of all sets of David Bowie records (which thus includes L, and also H, the set of all Heathen’s, E, the set of all Earthling’s, and so on). My copies of Low and Heathen are members of L and H, respectively, but they are not thereby members of DB. Indeed, DB has no records as members whatsoever, but sets. This refutes the hypothesis that set membership is formally equivalent to genuine, literal parthood (at least, if we are operating under CEM’s jurisdiction; that is, taking seriously CEM constrains the identity and existence conditions for wholes: having members is not identical to having proper parts). Chapter 3 is a foray into formality, explicating connections between mereology and formal ontology, and distinguishing various characterisations of formality. Chapter 4 discusses several key concepts (transitivity, reflexivity, and antisymmetry) standardly taken to be features of the parthood relation. Again, take transitivity, an essential feature of genuine parthood, according to CEM. Lando discusses some potential counterexamples; firstly, the idea due to Nicholas Rescher that according to biologists, a mitochondrion is a part of a cell, the cell is a part of a tissue, but the mitochondrion is not a part of the tissue. Lando puts the apparent force of this objection down to a curious feature of the English language. He suggests that removing the indefinite article preceding ‘part’ clears things up: “the mitochondrion is part of the tissue”; after all, “it is in it in a spatial sense” (p. 48, emphasis mine). Transitivity is preserved. Secondly: “The left arm of a Kemalist MP is part of her; the Kemalist MP is part of the parliament. But it seems definitely wrong to claim that the arm is part of the parliament” (p. 49, emphasis in original). The contention that this is an intuitive counterexample, Lando claims, is due to the polysemy of ‘parliament’ (e.g., the building wherein MPs discuss matters, or the social institution of parliament). Note that on whichever equivocation one has in mind, the claim is no longer a viably sensible one about genuine parthood. Alternatively, if ‘parliament’ is taken to mean set of parliamentary members, then we are back in the set theoretic domain of membership, not the mereological domain of parthood. And Lando says set membership “seems to work exactly as the relation between an MP and its parliament” (p. 50). This seems sensible enough to me. Part Two (chapters 5-9) considers the uniqueness of composition—the principle that given some things, there is at most one thing that all of these things compose—and extensionalism—the connected idea that complex (i.e., multi-part) entities that comprise the same proper parts are numerically identical. Uniqueness of composition implies extensionalism, but not vice versa. In chapter 5, Lando connects extensionalism to his nominalistic framework. According to the framework adopted, structure is not part of an entities’ composition. The pile of playing cards on my bookshelf comprises 52 cards; were I to build a house of cards, I would not have thereby brought something new into existence (contra mereological pluralists who wish to preserve some variety of realism about structure). The card-house and card-pile are composed of the same parts; they are the same complex entity, just with a different spatial arrangement at different temporal stages. Structure, then, is ‘safely obliterated’. Lando distinguishes his approach from Nelson Goodman’s, and argues that CEM respects Kit Fine’s four principles of obliteration (absorption, collapse, levelling, and permutation). Chapter 6 distinguishes the uniqueness of composition from extensionalism, and discusses some cases in which the two diverge (so-called ‘fake’ ways of respecting extensionalism but not uniqueness of composition). Thus Lando introduces the reader to the useful Hasse diagram machinery. In chapter 7, Lando argues that alleged counterexamples (ones in which a structured entity and its co-located portion of matter are concerned: e.g., the infamous ‘statue and clay’ example) are reconcilable with extensionalism. The literature on these sorts of cases is massive. Lando argues that as far as these cases are concerned, either some given structured entity and its co-located portion of matter are not in fact distinct (but—following Lewis—can be thought of from different perspectives which select for different modal profiles when considering different counterfactual situations, or which make certain properties—e.g., aesthetic properties—salient), or that they are non-identically composed after all (and thus there is a difference with respect to their parts). He then argues that controversial cases involving change over time, like the Ship of Theseus, do not pose special problems for extensionalism. And in chapter 8, Lando distances extensionalism as a plausible principle about concreta from being a plausible principle about abstracta. He outlines several strategies for reconciling abstracta (e.g., linguistic types) with extensionalism: deny the existence of the abstract entity at stake, deny that the entity is abstract, deny that the entity is involved in the parthood relation at all, or revise the application of parthood so that extensionalism is not violated. Non-extensionally composed abstract objects, were they to exist, would pose a remaining problem for Lando’s view, and he concedes as much. Chapter 9 explores some alternative (non-classical, non-extensional) mereological theories. Lando concludes that although some of these theories are “technically irreproachable and relatively conservative” (p. 65), they are otherwise not well motivated. An aside: when I began reading this book I assumed that Part Three would be where Lando and I part ways. I can accept parthood’s transitivity and Lando’s nominalism, and the counterexamples to extensionalism/uniqueness of composition do not move me. However, unrestricted composition—the principle that no matter how disparate/heterogeneous some given collection of things are, there is something that these things compose—is, pretheoretically at least, outright bizarre (not to mention overly ontologically profligate). To his merit, Lando goes a long way to offset this worry. My main complaint will be the short shrift given to alternatives, especially mereological nihilism. In Part Three, then, Lando considers the various arguments in favour of unrestricted composition and finds them convincing. He also analyses, and finds unconvincing, the kind of objection mentioned above: that unrestricted composition is exasperatingly counterintuitive. The defender of CEM need not think that there is any interesting or salient entity that is composed of, say, Big Ben and my red pen. That entity is neither spatially continuous nor causally efficient. But, the idea goes, claiming that these two parts compose something is perhaps little more odd than the idea that Procyon (11.46 light years from Earth) and Gomesia (162 light years from Earth) compose something: Canis Minor. But because Canis Minor is listed in Ptolemy’s 48 constellations (and for other reasons), I for one find it interesting (even though it is not spatially continuous or causally efficient). I cannot say the same for Ben-pen (reluctantly supplying a specific natural-language sortal predicate for this mereological fusion). But perhaps this is a contingent matter. Mereological fusion can thus be thought of as a function (or, in Goodman’s terminology, a ‘generating relation’) from parts to wholes. CEM does not require of wholes that they “play any explanatory role, participate in causal links, or play any role in an exhaustive description of the world” (p. 193). Wholes do not “instantiate any interesting, autonomous properties. They would inherit the properties of their parts” (p. 193). If a window were to get hit by a cricket ball, it would be redundant to claim that it was hit by something in addition to the arrangement of its parts; the ball and the parts that comprise the ball are co-located. There is no additional matter that CEM claims exists as well as the whole’s parts—so as far as physical stuff is concerned, the principle of unrestricted composition is not as ontologically profligate as some might think (indeed, Lewis thinks of his version, which includes an additional commitment to the Composition As Identity thesis, as ontologically innocent; wholes on this view are an ‘ontological free lunch’, to use David Armstrong’s expression), and is happily compatible with nominalism (it does not say anything about what kinds of entities exist, just that of the things that exist, any combination forms a mereological whole). Since Lando’s theory does not include a commitment to the Composition As Identity thesis, it may turn out on his view that unrestricted composition is less ontologically innocent than Lewis supposes: on the list of things that exist, we might need to include the cricket ball in addition to all of its parts (and in addition to all of the possible merelogical sums of its various parts, and so on), violating the eleatic principle. The proof will be in the pudding. Nonetheless, about allegedly intuitive counterexamples to unrestricted composition, note that just as using the word ‘car’ allows us to pick out a familiar object composed of various parts, using the expression ‘Ben-pen’, then, allows us to pick out a (less commonsensible, admittedly) entity composed of parts. The difference is just that we would not be inclined to talk about Ben-pen outside of philosophical discourse. Indeed, Lando admits that the principle of unrestricted composition vindicates all manner of “heterogeneous and redundant entities that are never to be mentioned outside of philosophy” (p. 193). That said, Ben-pen, trout-turkeys and car-bouquets “could become relevant, and begin to fall under certain sortal predicates” (p. 199). Chapter 10 provides Lando’s preferred way of formalising unrestricted composition (i.e., with plural quantification) and distinguishes it from less perspicuous alternatives. Chapter 11 clarifies Lando’s definition of ‘fusion’ and provides a discussion of its formulation in first-order logic. Chapter 12 considers some counterexamples to unrestricted composition (à la Ben-pen), and chapter 13 provides an argument in support of it (largely following the ideas of Lewis, Sider, Quine, and Donald Williams—the ‘argument from vagueness’) according to which mereology should be neutral. It shouldn’t distinguish between ‘interesting’ fusions like mugs and people and Canis Minor and ‘uninteresting’ ones like Ben-pen. The basic idea comes from Lewis. If you accept that things have parts, and that parts comprise wholes, there is no precise, non-arbitrary stopping point. Now, ‘Big Ben exists’ is not a vague sentence; “nothing in the sentence that expresses the existence of a fusion is vague. By contrast, the conditions under which we would want to restrict composition are vague: this means that these conditions cannot be satisfied” (p. 180, emphasis in original), because although certain predicates are vague, existence is not. Chapter 14 wraps up by discussing some upshots for non-Quinean metaontology. Let’s say that you agree with Lando that composition can’t be non-arbitrarily restricted. You might still reject unrestricted composition, by denying that composition is a relation that is ever instantiated. The main opponents of unrestricted composition are mereological nihilists, who say just this (or something very close to it). According to Peter van Inwagen, chairs do not exist—only the mereological atoms (‘simples’) exist. A so-called chair is thus merely simples-arranged-chairwise. (Likewise, so-called Ben-pen is merely simples-arranged-Ben-penwise). For van Inwagen, living entities are a non-arbitrary, principled exception to mereological nihilism; on his view, composition only occurs in organisms. The pros and cons of this move cannot be discussed here. For Theodore Sider, composition does not even occur then. For Sider, the only wholes are the limit case (i.e., a simple is a whole, comprising only itself)—no objects with proper parts exist. Mereological nihilism is not directly opposed to transitivity or the uniqueness of composition (these being trivially true according to the view), just unrestricted composition. Other mereological positions claim that composition is restricted in a rather brutal way, or that existence is vague, to mention a few. Lando does not push against these views, “partly due to space constraints and partly because the motivations and the articulation of these stances do not belong to mereology [as a discipline] according to the narrow understanding of it” (p. 199). This is unfortunate. There is the thought that we have no need to posit a commonsense entity in addition to what the scientific image tells us is there: arrangements of fundamental entities. Simples arranged tablewise do the same causal work that tables do; tables, that is, are casually redundant. And by getting rid of tables from their ontology, nihilists can appeal to a principle of parsimony. Since Lando avoids commitment to the Composition As Identity thesis, he may be committed to the existence of tables in addition to simples-arranged-tablewise, and yet, this commitment appears redundant: the simples arranged tablewise (the entities that the scientific image vindicates) do all of the explanatory and causal work that tables do, and have scientific credentials. If composition is identity, then wholes are an ontological free lunch, but one’s ontology is just as good without them. And if composition is not identity, there is good reason to cut mereological wholes from our ontology. A commitment to wholes begins to look suspect, one might think. So is nihilism the better option? I can’t here adjudicate on this issue further. The literature on alternatives to CEM is vast after all. But deciding which side to come down on seems to be a matter of one’s intuitions and balancing of theoretical virtues. Both mereological nihilism and CEM are counterintuitive theories: nihilism denies the existence of tables (unlike CEM), but at least it doesn’t vindicate Ben-pen (as CEM does). Defending brutalism or the vagueness of existence comes with other unsavoury implications. And so the debate in the literature has turned largely metametaphysical: about whether (say) parsimony is an appropriate theoretical virtue for deciding between various options, and about whether it is appropriate to demand a fact-of-the-matter answer to the question of whether wholes exist. But these questions, of course, are beyond Lando’s intended scope. Time to wrap up. 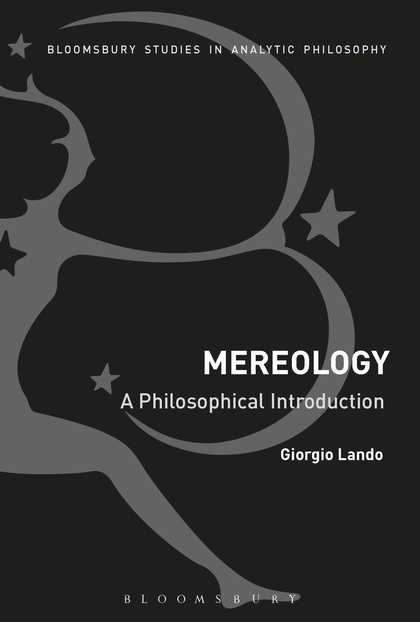 Lando’s Mereology: A Philosophical Introduction introduces, motivates, and defends a tweaked version of an influential thesis, CEM, in the domain of concrete entities. And this Lando does extraordinarily well. The book would well suit a higher-level undergraduate course on mereology (probably supplemented with a reading or two on mereological nihilism, brutalism, etc.) or a postgraduate seminar focused on the prospects and pitfalls of CEM. Its clarity and depth of explanation would be welcomed by students and instructors alike. The 10th annual Cologne-Leuven Summer School of Phenomenology – the world’s only summer school devoted solely to Husserlian phenomenology – convened from July 31 – August 4, 2017 at the University of Cologne. This year’s theme was “Phenomenology and its Methods,” and the session topics included intentional analysis, description, constitutional analysis, eidetic methodology, reductive methods, genetic analysis of human consciousness, the relation between experimental and phenomenological methods, and method in phenomenology and the human sciences (Geisteswissenschaften). The daily program consisted of two lectures in the morning and an afternoon session of either a discussion on a foundational text on Husserlian methodology or graduate student project presentations. The lecturers and text discussion leaders were professors and doctoral students from Romania, Germany, Poland, Italy, and Mexico. In the first lecture of the Summer School on Husserl’s notion of “experiment,” Christian Ferencz-Flatz delves into Husserl’s understanding of the relationship between phenomenology and experiments. Husserl’s Ideen III is one of the few texts that touches upon experiments without fully rejecting their validity for phenomenological analyses. 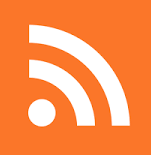 Ferencz-Flatz highlights four relevant points from this text. First, the difference between an inductive method of experiment and eidetic variation is that the single cases that are considered in eidetic variation are connected to reality but they can also be created by phantasy. It is the imagined cases of some type that push the logical limits of the object being varied allowing us to gain knowledge of its essence. Second, experience plays a larger role in grounding the eidetic analyses of certain kinds of experiencing. One example is memory: a better starting point would be in this case an actual memory and not a fantasy of a memory. Third, Husserl suggests experiments could supplement challenging investigations in which first-person experience or imagined first-person experience is not accessible (e.g. experiencing anger). Fourth, Ferencz-Flatz suggests that Husserl’s concept of experiment is not the same as normal scientific experiments requiring an intersubjective consensus because that is not important for phenomenology; rather, what is important is that any and every subject comes to the same eidetic insights. Although it is unclear as to whether or to what extent Husserl supports empirical experiments, perhaps he is keener on thought experiments in these passages of Ideen III. One early interpretation of Husserl by Siegfried Kracauer understood Husserl’s eidetic variation to be a kind of thought experiment and even contemporary phenomenologists use thought experiments in their work. In Husserl, we see cases like the early form of what would be later called the primordial reduction in the fifth Cartesian Meditation or the annihilation of the world (Weltvernichtung) scenario in Ideen I as closely resembling thought experiments. Nonetheless, there are two important differences between these examples from Husserl and traditional thought experiments. First, Husserl’s scenarios are set within the context of phenomenological variation; in other words, Husserl cannot just freely think of any conceivable scenario, rather he is bound by eidetic variation to the realm of possibility i.e. concrete experiences like a dream or delusion. The second difference is that Husserl is bent on proving the possibility of these scenarios. It is thus clear that the main difference between Husserlian variations and thought experiments is the fact that the variations are bound to the experiential realm. Phenomenology finds itself in a strange paradox in which it depends upon empiricism, and at the same time is eidetically independent of experience. This latter position has made it difficult to dialogue with other sciences and areas of philosophy. 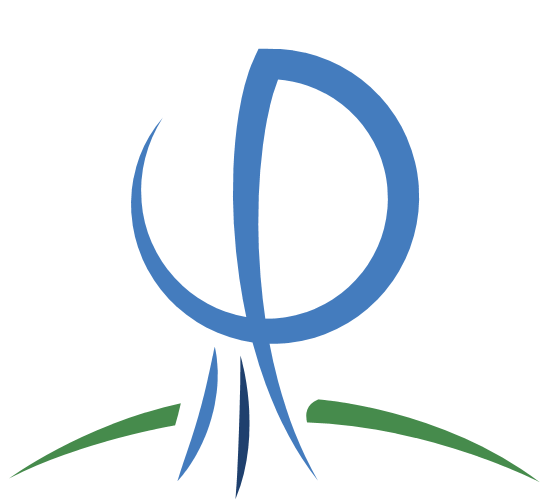 Ferencz-Flatz believes that relating phenomenology to and weakening its stark differences with other sciences and areas of philosophy is justified and appropriate. Dieter Lohmar’s first talk on Monday focused on the central topic of intentionality in phenomenology. His starting point was Husserl’s distinction between the reell and intentional content of consciousness, which is to be seen in perception. In the example of perceiving a red billiard ball, we perceive it to be smooth, colored, and round. The ball however does not appear as a homogenously single-toned red ball, rather this red ball reflects light and our perceiving ignores this reflecting as part of the ball itself. Thus, we want to examine our own constitutive activity in perception, and this examination requires a “reduction” in which the subject takes a step back from the “ready-made” world to examine how it is we come to constitute or interpret an object – in other words, how we give it sense. The interpretation of sense objects is called “apperception” and should be understood as a synthesis and not as a causal affair. The synthetic character of apperception is apparent in the example of perceiving a car driving past me: I hear the roaring engine come and then see it coming towards me quickly as it seems to increase in size as it approaches while I at the same time also have a toothache. The object guides this activity: we discriminate parts of sensibility and this choice is guided by the idea of the object. In this example, I discriminate the toothache from the car experience. Time consciousness is also an essential structure in apperception as I anticipate a fast car coming from behind me upon hearing the sound. Previous knowledge also plays a role in my apperceiving an object: when I perceive a lemon, I not only see its shape and color, but I also image its smell and bitter taste. These are examples of Husserl’s goal to manifest the fundamental “rules” that govern perception. In order to bring these “rules” of cognition to light, all presuppositions must be suspended, even presuppositions of the existence of objects. In phenomenology, we start with what is given, sense perception, not an object existing in the world. We then let it constitute itself. Apperceptions can modify themselves based on their givenness. For example, this ‘A’ (that is written on the chalk board) could be apperceived as a letter, as a drawing of a tent, or as a chalk mark. 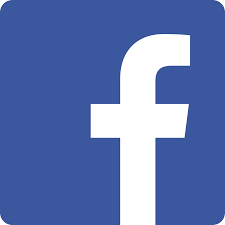 Depending on many factors, this symbol could be apperceived as one of these, but then it could be modified when one realizes the letter is actually a sketch of a tent. These examples do not suggest a causal theory of perception because the change in apperception is due to sensibilities and an order of relevance based on i.e. the context. Phenomenology is concerned with how an object is given and interpreted. Lohmar concluded his talk on intentionality by stressing the mistake of presuming the world “in itself” and the world as it appears. Husserl instructs us to analyze our own knowledge and how the world appears to us. Jagna Brudzinska’s talk on Tuesday built upon Lohmar’s Monday lecture by going further in depth into the analysis of intentionality from the genetic perspective. She began by highlighting time as the key factor that differentiates static from genetic approaches. In static phenomenology, we descriptively analyze single conscious acts of interpreting an intuitively given object; however, the temporality (Zeitlichkeit) is left out. A temporally dynamic analysis of consciousness would allow for us to reveal the structure of motivation in pre-predicative experience, which is historically determined while it also determines experience. By thematizing the whole stream of consciousness as a single contiguity of time, we have access to the temporal succession of experiences and can view the associations of one to another. Prior experience “sediments” itself as self-knowledge in consciousness, which plays an essential role in interpreting the present and future. A genetic analysis allows us to analyze processes of becoming, dynamics of individuation, horizonedness (Horizonthaftigkeit) and teleological motivation processes of development. Thus, a whole new dimension can be considered in passive genesis. Brudzinska’s ultimate claim in the lecture is that genetic phenomenology is not supplemental but essential for establishing the absolute foundation of knowledge. In this talk on the topic of evidence, Lohmar began with Hume’s concept of belief as the conviction of the existence of a given state of affairs that was felt by the mind. Hume’s concept of belief inspired Husserl’s understanding of evidence in terms of a performance of the mind in which we presence the intelligible object. The kind of evidence that can be gained is dependent upon the mode of givenness of the object. For example, there is a notable difference between signitive, pictorial, and intuitive intentionality with respect to their mode of evidence. A signitive intention (a sign in a system of signs) cannot deliver any adequate evidence. A picture represents a characteristic of the object but is not sufficient in acquiring evidence of the pictorialized object. Eventually, direct perception serves as evidence, though there is an optimality in viewing that object, e.g. if I walk too close when viewing a house, I can only see a small portion of the whole. Adequate evidence of external things is therefore impossible to obtain, but it constantly leads our perceptual dynamics as a regulative idea. Lohmar then moves to distinguish different kinds of evidence. The first distinction is between adequate and inadequate evidence. Adequate evidence is the self-givenness of all aspects of the object. No three dimensional object can give itself adequately because every thing always has a back side that is absent from the view. Husserl struggles to say that in the reflective attitude, objects of “inner perception” can give themselves fully. Another kind of evidence is apodictic evidence (i.e. impossibility to think the opposite). In Logical Investigations, Husserl claims that logical principles would belong to this kind of evidence, but in Formal and Transcendental Logic, he revokes this claim and says that it is more complicated. There are thus three aspects to be considered by a phenomenology of evidence: (1) the kind of object you intend (of cognition, imagination, real, etc. ); (2) the style of gaining evidence belonging to these kinds of objects; (3) the degree to which you are able to achieve evidence for this special object. On Wednesday, Dieter Lohmar continued his discussion of evidence by discussing its relation to categorial intuition. Categorial intuition is for Husserl a developed form of cognition. When I begin to shift my intention from one object to another, I begin to cognize identities and general typicalities. For instance, I cognize the fruity smell belonging to lemons, and if I expect to encounter a certain acquaintance with a certain set of characteristics and the man who taps me on the shoulder does not fit my expectations, I naturally act surprised and confused because the type is not fulfilled. A further fundamental aspect of categorial intuition that appears in the late Husserlian genetic analyses of judgment in Experience and Judgment (1939) is the so-called “explication.” This process alludes to the fact that I first perceive the object as a whole and then concentrate on a certain aspect without losing the intentional reference to the object as such. The many aspects or sides are related to the object by means of what Husserl calls a synthesis of coincidence. This form of association of the contents of experience is made by the subject, but the result of the synthesis is absolutely dependent upon reality: the object shows itself and its inner characters and the subject passively follows its lead. The moments of the objects that the subject may focus on vary based on interests or contextual factors. Language is not necessary for cognition understood as categorial intuition; this is demonstrated by animals, which, according to Lohmar, show a form of immediate and non-discursive kind of cognition very similar to ours. Lohmar concluded Wednesday with a lecture on Husserl’s method to discuss essences. For Husserl, the intuition of essences belongs to how we experience the world and our consciousness thereof. The result of seeing essences is however a priori. In seeing variance, we gain a priori knowledge, i.e. when we vary all possibilities of a kind – not just our own sensible experiences of this given thing, but also our phantasies of it that stretch the realm of possibilities to its limit – we are able to gain a priori knowledge about this object. Not all essences of objects, however, can be intuited by this method. Cultural objects, for example, cannot be successfully varied by this method because one culture could have a rather different understanding of some object than another. God or virtue could be included in examples in which different cultures have notions that are totally different and could not be varied. Eidetic variation instead grasps for eidetic structures of experience. How is it that we carry out this method so that the result is valid for all cases? Eidetic intuition is not a kind of induction in which we think of 100,000 cases and then come to a general rule. The principle of eidetic variation rests on the synthesis of coincidence: it is seeing what remains the same among all the differences. The type plays an important role by guiding the variations: through types, we can regulate our variations of trees to things that fit the type, “tree,” and the type will guide and eliminate things not befitting to it. Types are limited to our own experience and can be adjusted to our own empirical knowledge. Thus, through this type-led variation, we have an experience of the “a priori” – a rather misleading Husserlian term for which he means non-empirical necessity. Thursday’s first presentation was given by Marco Cavallaro on phenomenology’s connection to the human sciences. The background of this topic, as Cavallaro explained, is a discussion on the nature of descriptive psychology between Wilhelm Dilthey and Husserl. It was Dilthey who claimed that in order to understand the systems of culture, a thorough study of the human soul is required. He proposed a descriptive psychology – as opposed to an explanatory psychology that uses natural scientific methods to explain psychical facts – whose goal is to understand the presentation of components and continua found uniformly throughout all developed modes of human psychic life in which these components form a unique nexus that is neither added nor deduced, but concretely lived. This descriptive psychology is, according to Husserl, a kind of empirical science. Instead, Husserl wanted to develop a “pure” psychology in which the psychical is separated from the physical allowing the psychical a priori to be disclosed. In order to carry out this science, the ego must undergo a twofold reduction (transcendental and eidetic) in which we go back to the eidetic structures of subjective (and intersubjective) experiencing. Pure psychology serves three functions: the foundation of empirical psychology, the foundation of the human sciences, and as a propaedeutic to transcendental phenomenology. Both phenomenology and the human sciences overlap in their subject matter (i.e. understanding the other, foreign cultural objects, social habits, and classificatory types). Their methods also conflate insofar as they both seek universal structures that are valid for every person regardless of culture. Cavallaro concluded by praising and presenting the theses of Phillippe Descola’s Beyond Nature and Culture (2005), which offers a foundational approach to anthropology akin to the Husserlian one. “A phenomenologist must not accept transcendental phenomenology, but you miss something in life if you don’t do it once,” Prof. Lohmar said at the beginning of his final lecture of the week. Husserl’s transcendental turn was made known in 1913 upon the publishing of his Ideen I, which was considered a return to Kantian philosophy. Transcendental phenomenology thematizes the thetic characteristic of the given object. In so doing, we try to see the real form of evidence that lets us take up reality. Yet to investigate how it is that we claim something to be real, we cannot start with the claim that the thing is indeed real. Thus, a reduction is necessary in which both the thetic quality – whether something is given as truly there, or doubtful or probable – and the matter of the object, which tells us what we are seeing, have to be bracketed or ignored. Instead of the real, we focus just on the phenomenological content. The reduction hinders the subject from prejudging and allows for one to see how steps are taken towards completing a certain act. Alice Pugliese began her presentation on the last day of the Summer School with a question based on observations that were suggested throughout the week; namely, could motivation provide a ground for the idealistic and transcendental philosophy of subjective life, even if motivation is considered by many other sciences to be to be an empirical and experience-related element? The intentional and constitutive flow of consciousness is a motivated process. This means that motivation has “lawfulness” i.e. it shows regularities, similarities and uniformities, it always holds a direction, and it is strongly influenced by past experience. One common misconception is that motivation is always causal, yet only apodictic motivation is causal. Motivation often appears in the form of association: for example, A reminds me of B. New experiences will modify and transform past experiences by adjusting or rewriting our experiential history. This account of motivation suggests a low-level teleology: an object’s value is immediately given in our experience of that thing e.g. I apperceive the ice cream immediately as “tasty.” Motivation is an interplay between passivity and activity: it is not just from our being affected that moves us to practical action, but practical action also leads us to be affected. Pugliese concluded by listing Husserl’s three levels of motivation: (1) thematic motivation that guides thinking or imagination; (2) passive motivation that implicitly guides kinesthesia; (3) Drives (Triebe) that are the deepest and also a non-thematic form of motivation providing orientation. The final lecture of Summer School 2017 was given by Thiemo Breyer on Husserl’s phenomenological psychology. In the first part, he gave a historical overview of Husserl’s relation to psychology. From early on, Husserl was in contact with the leading psychologists and was concerned with psychology’s connection to mathematics and philosophy. Husserl began his philosophical career using descriptive psychological terms and methods but gradually shifted towards more logical terms and methods. In his phenomenological psychology, Husserl wants to establish a new a priori psychology, which was not meant to replace empirical psychology, but to serve as the basis for other sciences such as the humanities (Geisteswissenschaften). This new psychology is an eidetic science that makes analytic distinctions between different elements of consciousness, which is an artificial procedure existing in abstraction. In phenomenological psychology, we take many single concrete experiences and abstract a general experience of what it means to have e.g. a perception, or a fantasy etc. Husserl compares the science to geometry because they both abstract from concrete things (for psychology, experiences and for geometry, imperfect everyday circles and squares) to the ideal. The difference between this science and geometry is that phenomenological psychology can be falsified by encountering something contradictory in the life world or a fantasy of some type of experience, whereas in geometry, factual occurrence does not falsify the ideal nature of some figure. Phenomenological psychology is the science of the ego and everything that makes up the personal “I”. Husserl sets up three “spheres” of psychic experiences: cognition/theoretical reason (Verstand); emotion and axiological reason (Gemüt); and volition or practical reason (Wille). Each category is comprised of different faculties or factors: under cognition is perception, memory, fantasy, and judgment; under emotion is affect, feeling, mood, Stimmung, atmosphere, and evaluation; and under the will are drives (Triebe), conative, motivations, deliberations, action. The order of the categories (i.e. cognition, then emotion and then will) shows the direction of the “foundational relationship.” Breyer concluded the talk by noting phenomenology’s accomplishments and impact on the various fields related to psychology such as psychopathology, Gestalt psychology, and embodied cognitive science. In the 21st century, the landscape of philosophical methods and orientations seems increasingly complex. Reference to ‘schools of thought’ may be misleading, suggesting more internal coherence than exists. Yet, (non-)allegiance to certain ideas about style and method can have real institutional consequences. At present, one can observe an increasing number of debates focused on the reliability of certain philosophical methods. Some attention is being given to how the ever-changing methods and scope of philosophy set it apart from the sciences. Lastly, there have been attempts to understand certain philosophical disagreements as disagreements on a meta-philosophical level, i.e. disagreements about the proper scope, data, standards, and goals of philosophy itself. The Cambridge Companion to Philosophical Methodology situates itself in this context of increasing reflection on methods and on the role of philosophy itself. 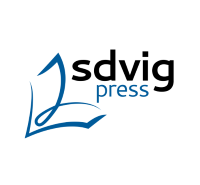 The editors Giuseppina D’Oro and Søren Overgaard have gathered an admirable roster of twenty authors with the aim to exhibit the contemporary wealth of positions and debates regarding philosophical methods. Quite generally, nearly all the contributions can be described as normative in scope, i.e. as giving arguments for why one should espouse certain methods. The collection gives a very good cross section of contemporary orientations in philosophy, with some of the essays aimed at a general philosophical readership and others more focused on issues internal to certain traditions. Although the collection is naturally heterogeneous (given the heterogeneity of the philosophical field itself), there is plenty of implicit conversation between the essays, including between those from adherents of different traditions. The volume is organized into four main parts. The first section concerns broad views of philosophy. It includes essays on the merits of philosophy for the individual, the need for a systematic impulse, the centrality of the human perspective, and on disagreement in philosophy. The second part is concerned with the central thesis of analytic philosophy, which is that the proper method of philosophy is conceptual analysis. Here, different versions of this claim are defended and criticisms from naturalism and experimental philosophy are considered. The third part gathers essays about philosophical methods/orientations (e.g. Kantianism, pragmatism, and quietism) which are not classifiable as continental or analytic. The final part gathers essays clearly continental in orientation (concerning the methods of phenomenology, deconstruction, existentialism, and hermeneutics). This division into parts befits the content of the essays well. It has the disadvantage of reifying the analytic/continental divide somewhat, perhaps discouraging cross-reading the essays, despite the editors’ reservations regarding the usefulness of this divide. Hence, the remainder of this review is organized around certain dominant themes which appear throughout the volume and which mostly disregard the organization into parts by the editors. Instead of giving detailed summaries of all twenty essays here, which would be beyond the scope of this review, the following will be an impression of the contents of the book in a single account. One of the recurrent themes of the volume and a good start when orienting oneself in the vast field of philosophy is the question regarding the data for philosophizing. As Nicholas Rescher points out in his chapter, the available data for philosophy are very diverse, ranging from common sense beliefs, to recent scientific findings, to history, to empirical experience of the world around us, to ideas delivered to us from the philosophical tradition – as he says: “we always begin with a diversified cognitive heritage.” (34) The choice of a method for philosophizing seems to correlate with a preoccupation with certain data. This, of course, is reflected in the other essays in the volume as well, where very different data are considered key to the conceptual work that philosophers engage in. One may extend Rescher’s idea somewhat by recognizing that some philosophers consider the artistic productions of past and present times among the most important data for their philosophizing. This is common in continental philosophy, were one can expect philosophical books about the meaning of Franz Kafka’s work, among others. Also, for some philosophers, transformative first-person life experiences are among the key data to philosophizing (as for Sartre and Adorno, discussed in the essays of J. Reynolds & P. Stokes and Fabian Freyenhagen). Apart from a positive choice, I would submit that a philosophical method may include the choice to disregard certain sorts of data in favor of others. In the example of methodological doubt (Descartes), the negative aspect of choosing to limit oneself to certain data only is clear. One can find similar tendencies in varieties of ‘critical philosophy’ such as Kantianism and in Wittgenstein’s quietism (explored in the chapter by David MacArthur). The latter chooses to view with suspicion the doctrines of classical ontology and favors observations of actual language use as more reliable data for philosophizing. As a philosophical approach, this is clearly powered by a negative (yet enabling) decision regarding the ‘correct’ data. Another example of a disagreement about the data of philosophy is between proponents of naturalism and proponents of conceptual analysis, where the former advocate the primacy of phenomena over our concepts and the latter advocate the primacy of linguistic meanings for settling philosophical disputes. That said, as the essay by Hans-Johann Glock about ‘impure conceptual analysis’ shows, intermediate positions are possible. He sketches a form of conceptual analysis where concepts are still regarded as a priori, but where empirical and ethical concerns are put into play. The downright naturalistic perspective, where thinking about knowledge becomes inseparable from the cognitive sciences, is sketched by Hilary Kornblith in his chapter. Another important theme in the volume concerns the reliability of data. Even if philosophers largely agree on the choice of data for philosophizing, there may be worries about how reliable those data really are. 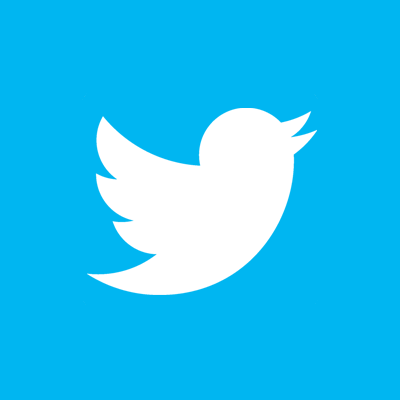 In analytic philosophy, one commonly employs the method of cases, where a short vignette is presented to establish or put into question certain intuitions about philosophical claims. In recent years, so-called ‘experimental philosophers’ have put into question the reliability of this method. The main issue is that one can show, using statistical methods, that certain choices made in the design of the vignette may influence the outcome, even if those choices should be irrelevant. If the outcome of such tests is not stable upon changing seemingly irrelevant details, it may be called into question whether the case reliably prompts the kind of intuition which was taken as evidence for the philosophical claim under discussion. This theme is taken up in detail in the chapter by Jonathan M. Weinberg. Far from criticizing the method of cases in its entirety, Weinberg explains that experimental philosophy aims to exercise a type of ‘quality control’ having both a restrictive and constructive side. This debate is best understood as internal to the tradition of philosophy as conceptual analysis in the armchair. The question of the accessibility of philosophical data also emerges in phenomenology, addressed in the chapter by David R. Cerbone. In short, there is a gap between the ‘natural attitude’ (when we engage with our surroundings without reflecting on the role of consciousness) and the act of phenomenological reflection (when we consider the active role consciousness plays in constituting reality). But clearly, when engaging in the latter, one reflects on what is ‘given’ in consciousness – the question of data. The next question then becomes: what is it in the natural attitude that permits or calls us into the mode of phenomenological investigation? Cerbone draws attention to how Husserl and Heidegger try to bridge this gap differently. He points out that with both authors, an act of phenomenological reflection must be performed by the reader if she wants to understand a phenomenological text; she must somehow recall that the ideas in such a text also adequately describe her own experience. Several of the chapters focus on understanding the nature and extent of philosophical disagreement. As has often been noted, disagreement seems to be a rather pervasive feature of the philosophical field, especially when compared to the sciences. One can readily find ways to account for this. It may be that philosophy is simply harder than regular science. Alternatively, it may be that for many problems, it has not found the proper perspective (a sentiment that is strong in Kant’s philosophy, who thought that he had for the first time found the right perspective on the relation between intuition and understanding). The essays in the volume explore more subtle explanations. Amie L. Thomasson presents an interesting perspective which accounts for at least some of the lasting disagreement. She builds on the already mentioned idea from Wittgenstein, Carnap, and others that philosophy is ultimately a form of conceptual analysis and thus primarily concerned with the proper use of concepts. This perspective has the great advantage that it does not put philosophy in a position rivalling physics (our best way of explaining ‘reality’), by focusing on language and not directly on reality itself. However, as she points out, according to the classical analytic conception, this type of work has a strictly descriptive character. Hence, it remains somewhat obscure how there can be lasting disagreement if all one needs to do is analyze the meaning of a concept. Also, if it is merely descriptive, this type of work is not so easily distinguished from linguistics after all. Her proposal to counteract these worries is to regard conceptual analysis as not only descriptive, but also prescriptive in nature. In other words, on her view, philosophers do not only debate about how words are used, but also about how they should be used – they engage in “metalinguistic negotiations” (David Plunkett quoted by Thomasson, p. 109). This proposal amounts to admitting that our conceptual schemes are often malleable and open to “ameliorative” revision (Sally Haslanger quoted by Thomasson, p. 115). Another essay concerned with the question of philosophical disagreement is Giuseppina D’Oro’s. The dispute she focuses on is between causalists (those who believe there are only events) and anti-causalists (those who believe there are events and actions). She asserts that on an abstract level, there seems to be little hope of resolving such debates, since there are respectable discourses which are causalist in character (engineering, physics, biology) and discourses which also speak of actions (history, sociology, psychology). D’Oro’s proposal, which follows suggestions from R.G. Collingwood’s philosophy of history, is that this debate is “best understood as a conflict between methodological practices which govern different forms of enquiry and the conception of reality that is entailed by them.” (221) The role of philosophy becomes not so much to settle the debate in favor of either of the positions, but to recognize that reality admits of several ontological schemes, dependent on the mode of inquiry undertaken (e.g. history or physics). Since both modes of enquiry are deemed legitimate as sciences, the two ontological schemes are ‘conditions of possibility’ for those modes of enquiry. Certainly, this seems to be applicable to the example debate, but one wonders whether other debates may be recast this way. A chapter by Robert B. Talisse on pragmatism documents how the relation of pragmatist philosophies (Peirce, James, Dewey, Rorty) to the rest of philosophy is decidedly meta-philosophical. That is, the pragmatists related to other philosophies not on the level of first-order ideas but by developing intricate meta-ideas about philosophy itself. Talisse proposes this as a distinctive feature and risk of pragmatism. Finally, the chapter by Herman Cappelen, most explicitly about disagreement, tackles the claim that philosophy seems plagued by deep disagreements on a more empirical level. By and large, he puts into question the evidence for this claim in a convincing yet somewhat apologetic manner. Another important marker of methodological orientation appearing throughout this volume is the aim one ascribes to philosophy. Again, I would submit that one’s views on the aims of philosophy will generally correlate to some first-order philosophical ideas and with some view regarding philosophy’s data. For example, a scientifically inclined philosopher (‘science is our best way to describe reality’) might declare philosophy to be an “underlabourer to the sciences” (Locke), helping to elucidate the workings of science (epistemology, philosophy of science) whilst warning not to go above and beyond science. On the other hand, the larger one considers the conceptual and experiential territory outside of the bounds of science strictu sensu, the larger one may consider the task of philosophy. Also, there is the recurrent theme of the irreconcilability of internal and external perspectives on such phenomena as consciousness. Certainly, philosophers must not be oblivious about such external investigations (e.g. cognitive sciences) but they need not hand over the keys just like that either. Both the philosophy of mind and phenomenology seem to agree on this. On such views, the aim of philosophy may become to reconcile the findings of cognitive science with our first-person experience of our life-world (as advocated in the chapter by Jean-Luc Petit). Although the volume has a section which is sort of devoted to the aims of philosophy (Part I: Visions of Philosophy), the theme certainly resonates throughout the entire volume. We already saw Amie L. Thomasson’s extension of conceptual analysis into normative and ameliorative territory. Along similar lines, Robert Piercey presents a case study of the analytic-continental divide, focusing on Richard Rorty (allegedly on the analytic side) and Paul Ricoeur (allegedly on the continental side), who share certain metaphilosophical convictions. Piercey calls these the metaphilosophy of hope and the metaphilosophy of historicity. The former designates that a central goal of philosophy should be to theorize for a better future. He shows us in some detail how this view takes shape in both thinkers and suggests that such metaphilosophical views are ultimately more helpful to orient oneself in the larger philosophical field (beyond the analytic-continental divide). Fabian Freyenhagen’s essay about critical theory and Adorno’s relation to philosophy can be taken along similar lines. There, Adorno is shown to both criticize classical philosophy to work towards its unfulfilled promises. The aim of critical theory is to soften the all too rigid hold certain problematic conceptual schemes have on society at large. This procedure both borrows from philosophy and criticizes it wherever it is found to be complicit in reinforcing the present social order. All of this also raises the questions how creative (in the sense of producing novelty) philosophy should aim to be. As A.W. Moore points out in his essay, the enduring influence of Wittgenstein in analytic philosophy has turned that tradition away from the creative conception of philosophy, an idea which is well alive with continental thinkers such as Deleuze & Guattari. Beyond such collective aims, philosophy may also have real consequences for individuals engaging in it. Alessandra Tanesini explores a broadly Socratic view of philosophy on which the central aim for the individual is to find a way to live beautifully. She promotes the idea that this requires one to train one’s epistemic self-confidence. This includes skills pertaining to argumentation and concept-formation as well as the emotional capacity to defend unorthodox views within one’s community. Philosophy, construed as such, can greatly contribute to this effort and hence help an individual aiming to live beautifully. The volume offers a diverse and valuable cross section of discussions regarding philosophical methods. By and large it focuses on methodological ideas which are supported by tradition. The essays display a healthy degree of implicit conversation between them. Reading the entire volume at once will sharpen even the advanced reader’s sensitivity and appreciation of the matter. All the essays are directed at an uninitiated readership, fulfilling the aim of facilitating conversation between different methodological orientations. Let me now close this review with some minor criticisms. The volume may be found wanting with regards to methods of formal logic. Positions on the role of logical methods for philosophy differ greatly, but it seems that a sufficient segment of academic philosophy attaches great value to them (especially in connection to conceptual analysis and philosophy of language). Many of the classical philosophical paradigms went hand in hand with views on logic. At a more mundane level, logic plays into the (re)construction of arguments, which is part and parcel of philosophical activity. The volume lacks any discussion of the role of logic in the narrow or wide sense. A more nuanced worry is the following. By focusing on established methods which seem to be shared between many philosophers, the volume furthermore risks neglecting that the history of philosophy is often marked by a degree of methodological extremism. That is, it sometimes seems like each philosopher invents his/her own methods anew. It may be that the volume, despite its pluralist stance, ends up portraying the philosophical field as more unified than it really is. Relatedly, it does not always recognize the negative experience of not understanding an opponent’s position – an experience surely at the heart of philosophical activity since Plato’s Euthyphro. Here is a final question regarding the evolution of new methods that the essays in the volume suggest but do not really breach. Consider the following: Let us say that upon reading the works of a certain philosopher X, we discern that she is a proponent of the new method Y. Such schemes are by now familiar, and the Cambridge Companion to Philosophical Methodology offers an abundance of examples. Now consider the following question: before X committed their thoughts to paper, what was their ‘method’ Z for arriving at the method Y? In other words, is there a useful distinction for methods understood as internal to philosophical programs and methods used to develop new ones? 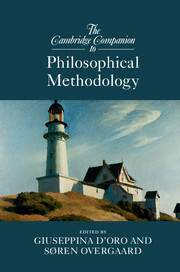 Given the plurality of different philosophical methods that have accompanied philosophy since its inception, is not deliberation about (new) methods among the key tasks of the philosopher? Far from suggesting an infinite regress, I merely want to express that there may be more dynamism to the philosophical practice than an evaluation of framework-internal methodologies will be able to bring to the surface. If, as Stanley Cavell puts it “philosophy is one of its own normal topics” (Cavell cited in D’Oro & Overgaard, 4), one might add that reflection on philosophical methods is one of philosophy’s normal methods. The Cambridge Companion to Philosophical Methodology is a recommendable way into this terrain. Cavell, S. Must We Mean What We Say? A Book of Essays. updated edn. Cambridge: Cambridge University Press, 2002. Collingwood, R. G. The Principles of History. eds. W. H. Dray and Jan van der Dussen. Oxford: Oxford University Press, 1999. Descartes, R. Meditations on First Philosophy. trans. D. Cress. Indianapolis: Hackett Publishing Company, 1993. D’Oro, Giuseppina, and Søren Overgaard, eds. The Cambridge Companion to Philosophical Methodology. Cambridge: Cambridge University Press, 2017. Foucault, M. Madness and Civilization. trans. R. Howard. New York: Vintage Books, 1965. Haslanger, S. Resisting Reality. Oxford: Oxford University Press, 2012. Locke, J. An Essay Concerning Human Understanding. Glasgow: Collins and Sons, 1964. Plato. Complete Works. Ed. J. Cooper. Indianapolis: Hackett Publishing Company, 1997. Plunkett , D. “Which Concepts Should We Use? : Metalinguistic Negotiations and the Methodology of Philosophy,” Inquiry 58, no. 7-8 (2015): 828-74.